6.6" x 5.6" stitched on 14 count. 5.1" x 4.4" stitched on 18 count. 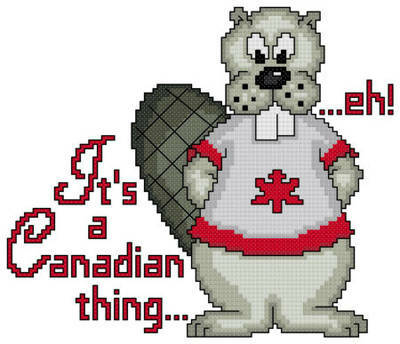 It s a Canadian Thing eh -With Pride cross stitch pattern... Meet Bev! He's a beaver that loves to show his pride in all things Canadian. Collect the whole series... eh!